The book cuboro 1 is the introduction to the limitless world of creative building cubes. 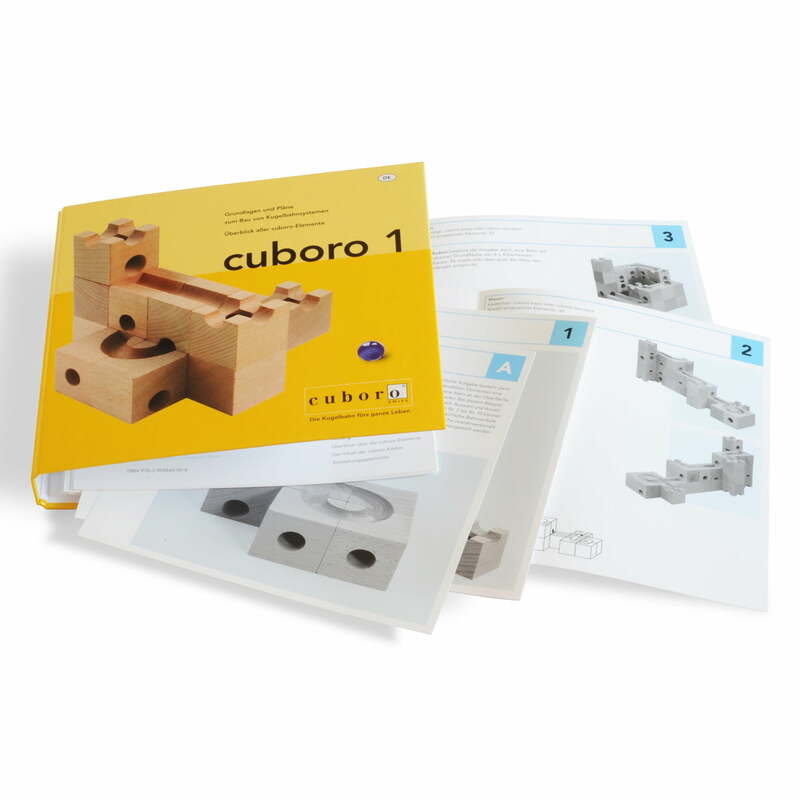 The handy ring binder explains the basics of the cuboro - construction methods and encourages children to be imaginative architects. 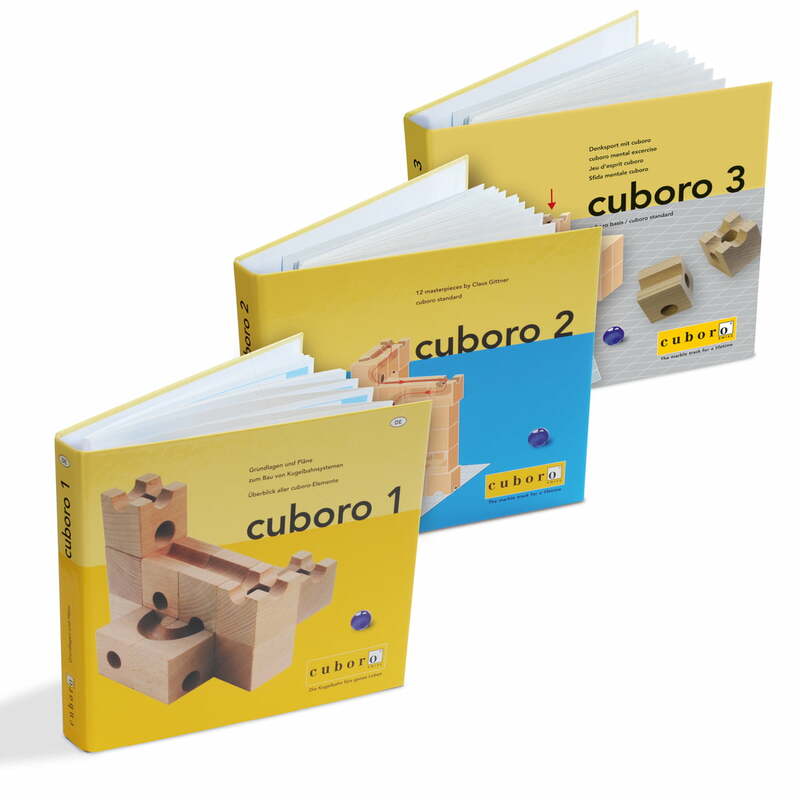 With its removable construction plans, the book cuboro 1 explains the basics of the creative construction cube system from Switzerland. The construction of tunnels or level changes is explained while practical examples demonstrate the application. It explains how to build the runs and paths, step by step. There are different levels of difficulty, so that appropriate path varia for every age are provided. 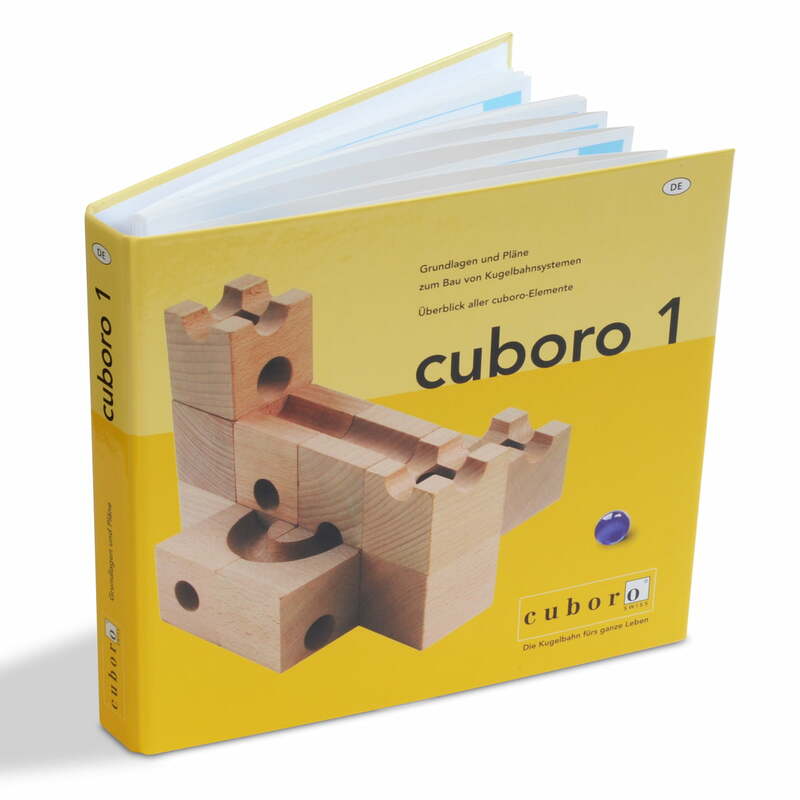 It takes no more than the basic set, to have a lot of fun with the book cuboro 1. The examples in the book encourage children to become creative and design whole mazes based on their new experiences. But beware: with its unlimited possibilities Cuboro soon also turns adults into fans of the cubes support the imagination.